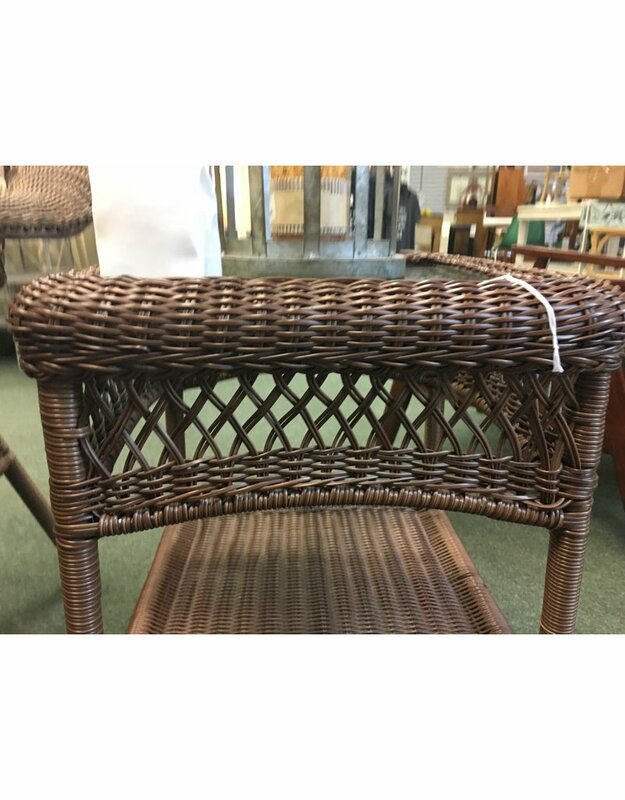 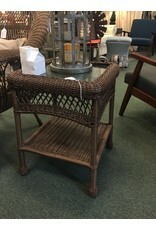 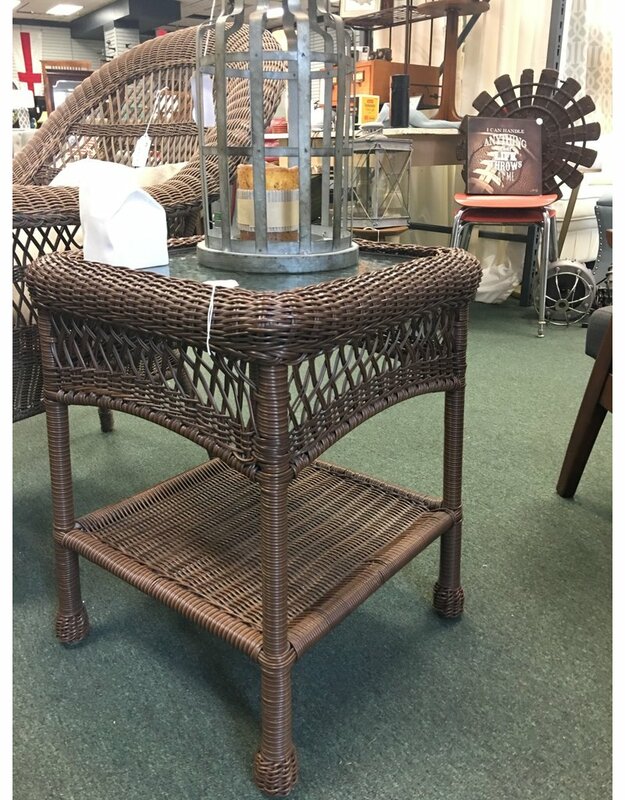 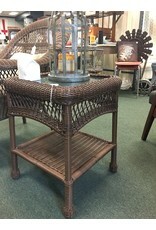 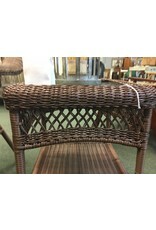 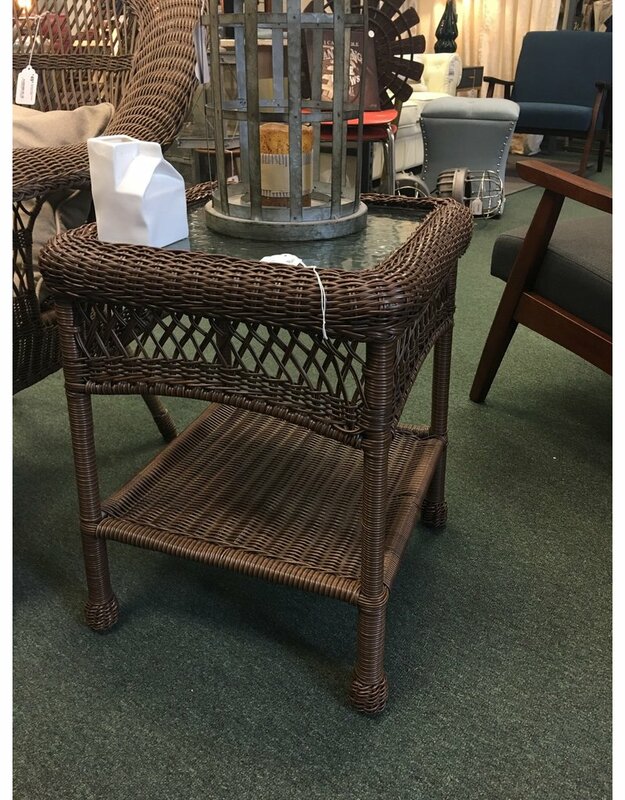 Soak up some sun and feel free to put your ice cold beverage down on this square, brown synthetic wicker patio end table. 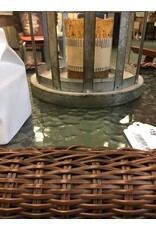 Table features lower storage shelf, bun feet, and a clear tempered glass top. 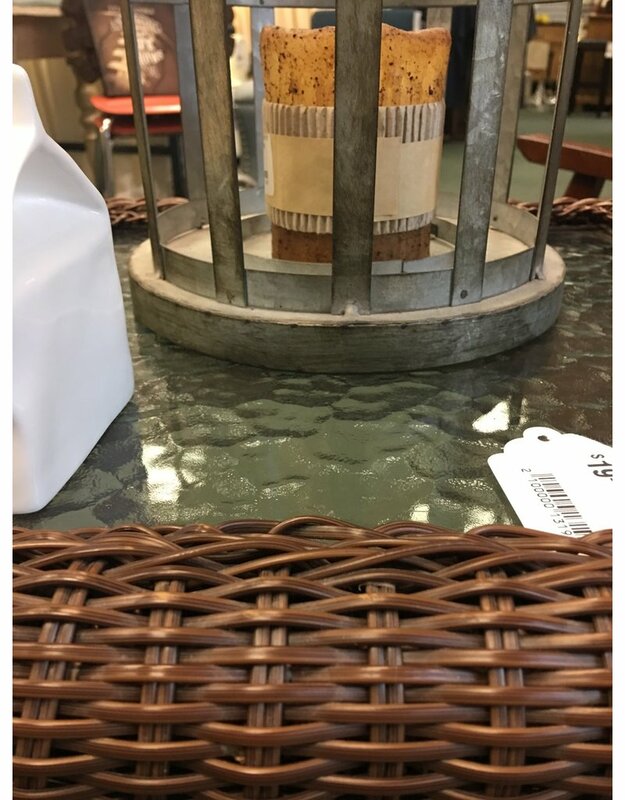 17.5" x 17.5" x 22.75"